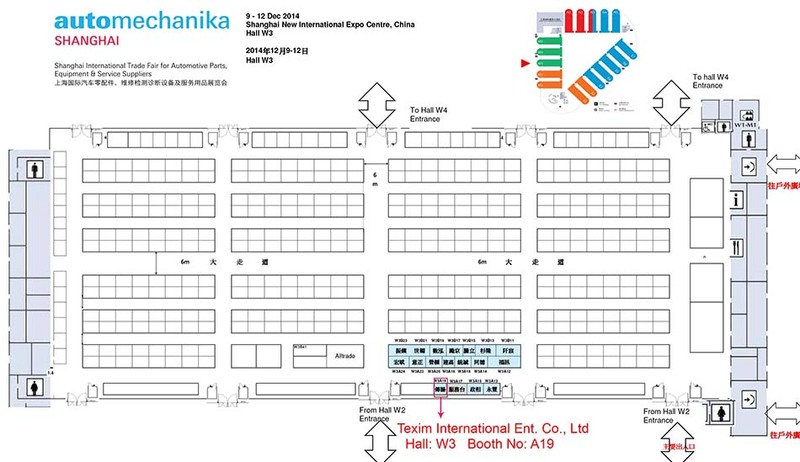 Incoming exhibition in AUTOMECHANIKA 2014 EXHIBITION, Shanghai, China. (Hall W3, Stand A19) - TEXIM INTERNATIONAL ENT. CO., LTD.